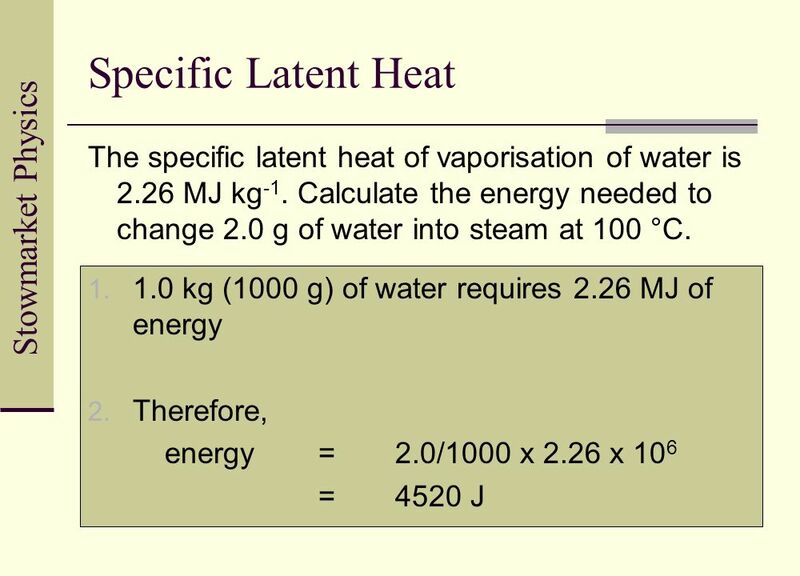 How much energy must be supplied to raise the temperature of 5 kg of water from 20°C to 100°C? 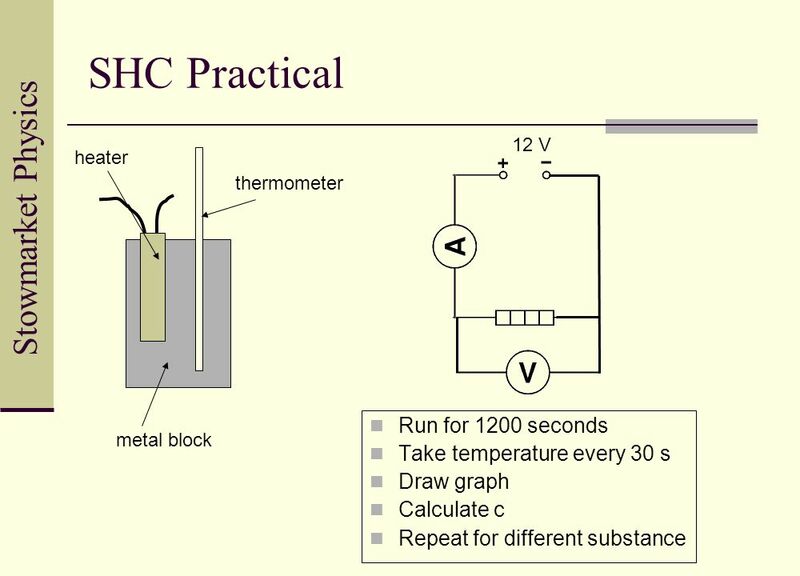 Which requires more energy, heating a 2 kg block of lead by 30 K, or heating a 4 kg block of copper by 5 K? 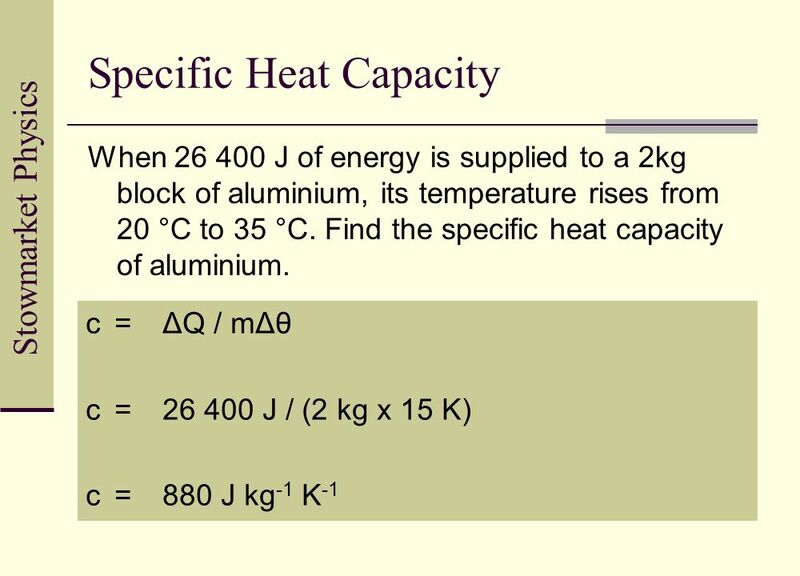 A well-insulated 1 kg block of iron is heated using a 50 W heater for 5 min. 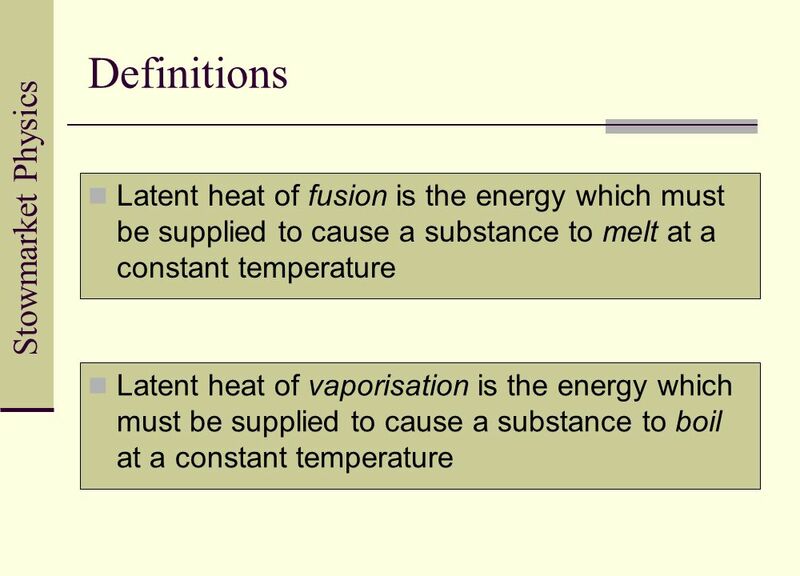 Its temperature rises from 22°C to 55°C. 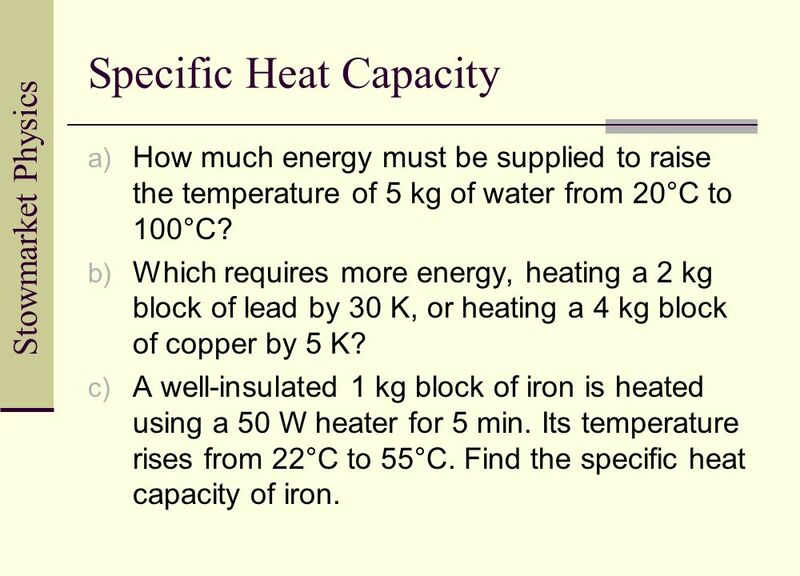 Find the specific heat capacity of iron. 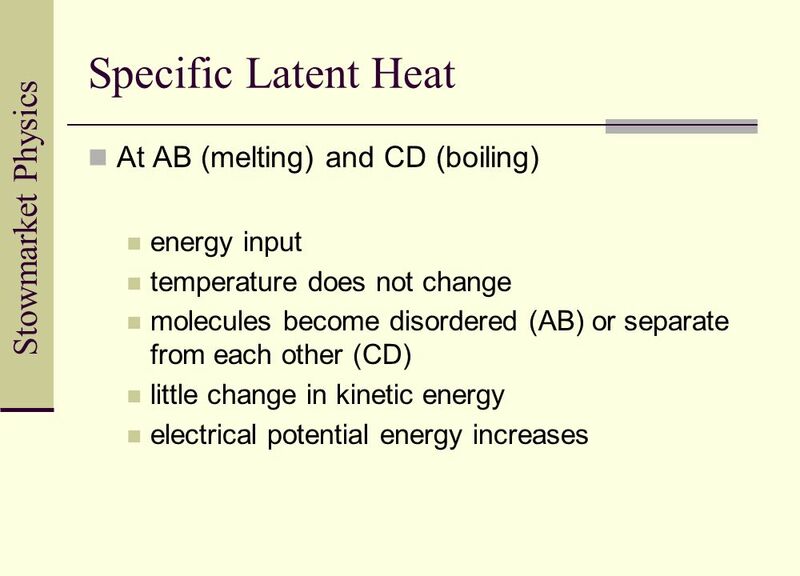 14 Specific Latent Heat What is happening at: AB? 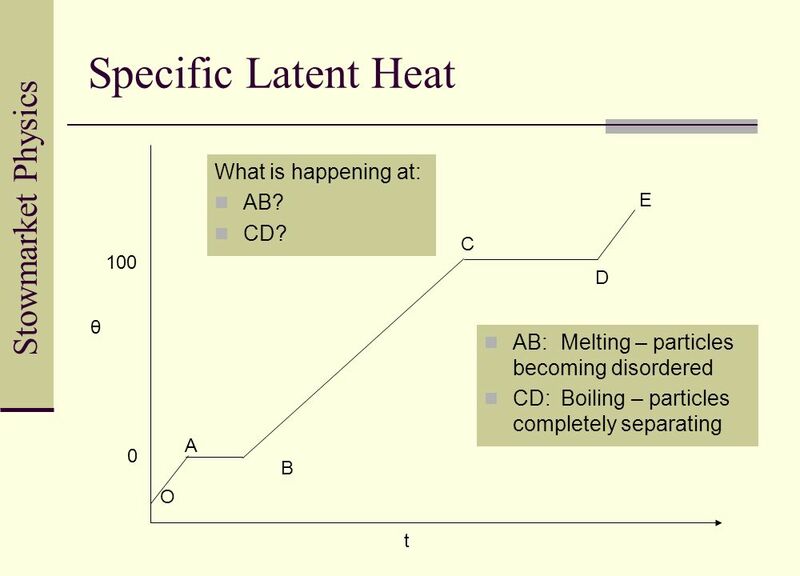 CD? 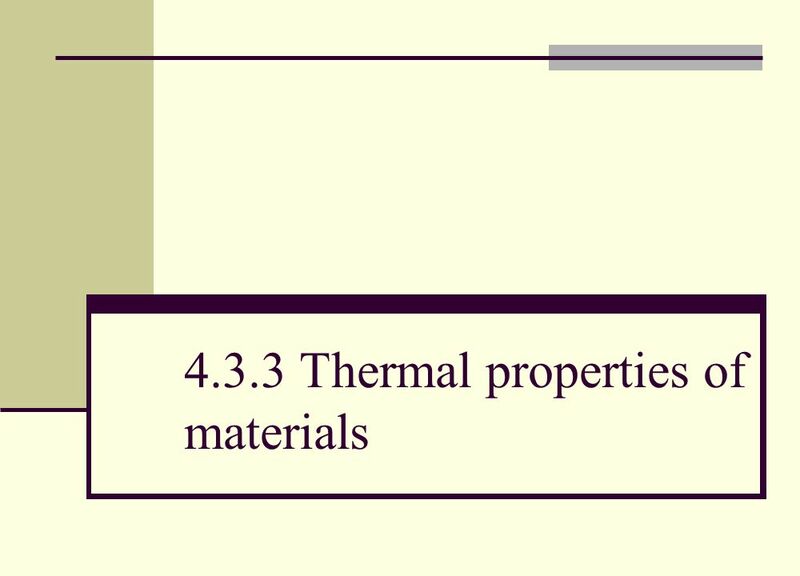 Download ppt "4.3.3 Thermal properties of materials"
Heat and Temperature Heat is a form of energy, and is measured in Joules (J). 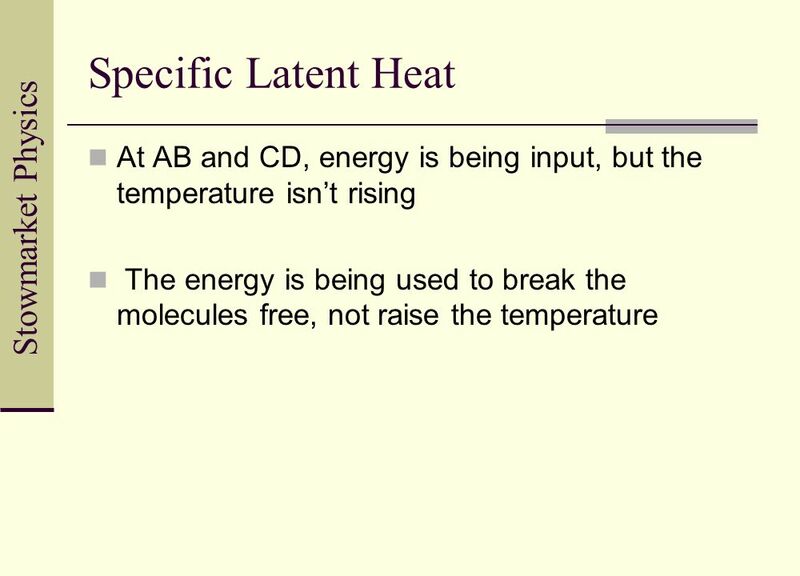 Temperature is different from heat. 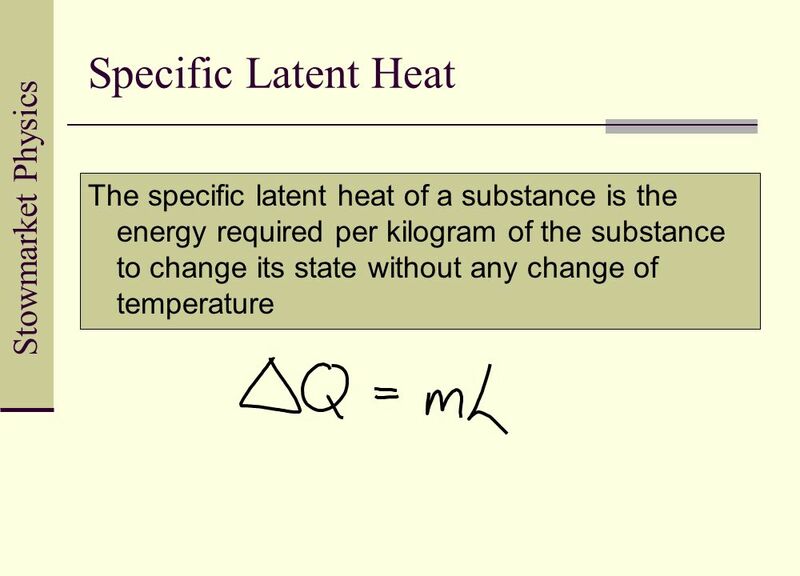 Temperature is a measure of how hot or. Thermal Capacity Specific Heat Capacity Melting & Boiling Condensation & Solidification. 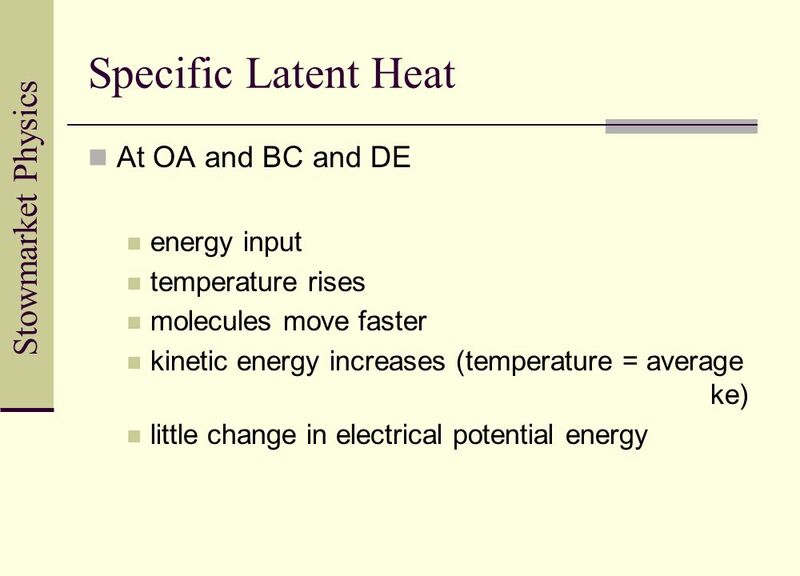 Heating/Cooling Curve & Energy Calculations. 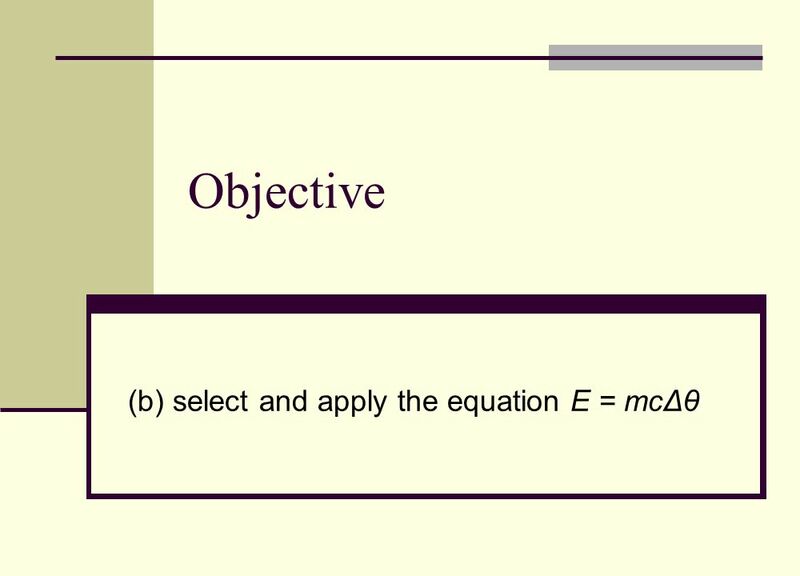 Which of the following measures the average kinetic energy of a sample? 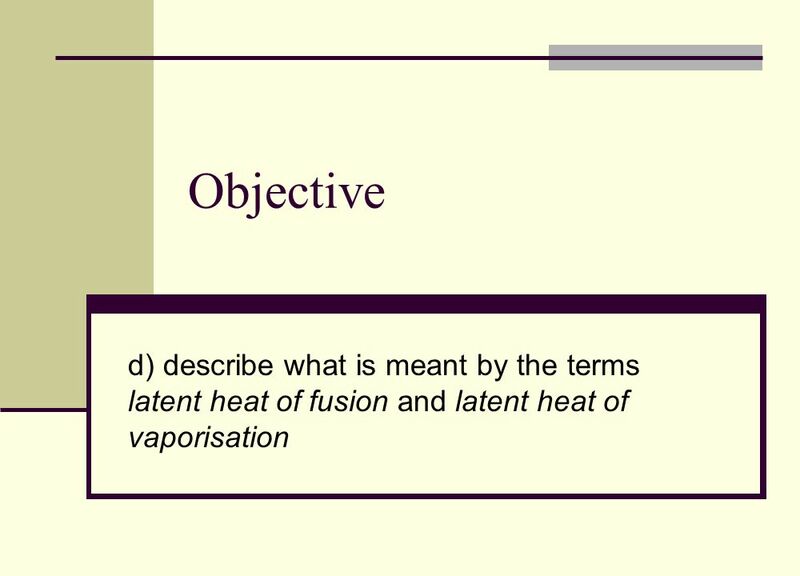 1.Mass 2.Volume 3.Specific heat 4.Temperature. 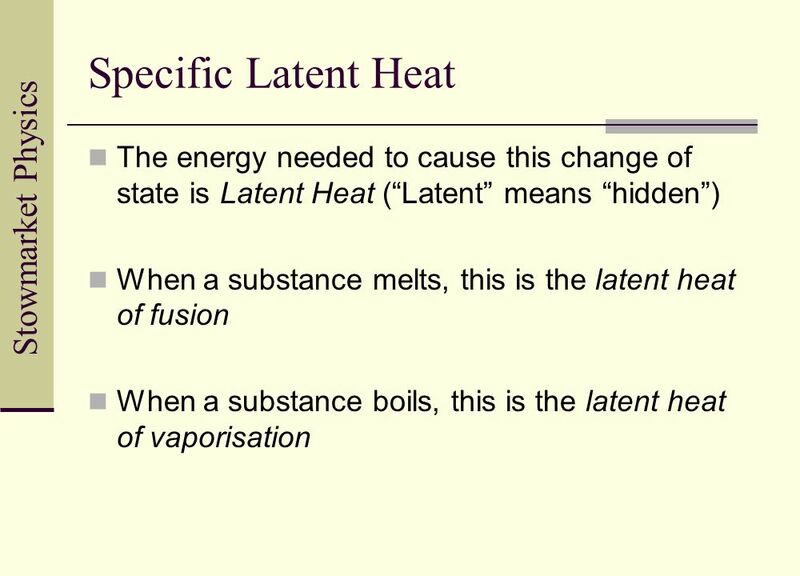 Enthalpy. 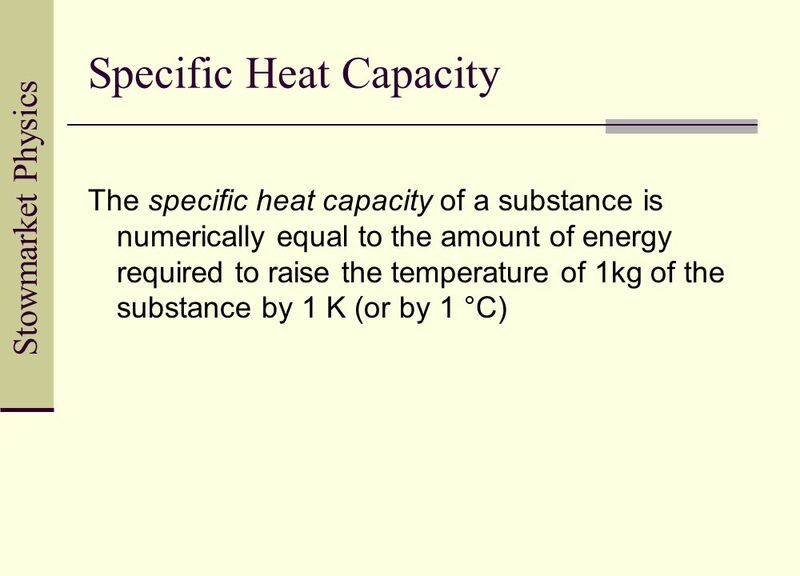 Specific Heat Capacity Definition: The HEAT ENERGY required to raise the TEMPERATURE of 1kg of substance by 1 o C. e.g. 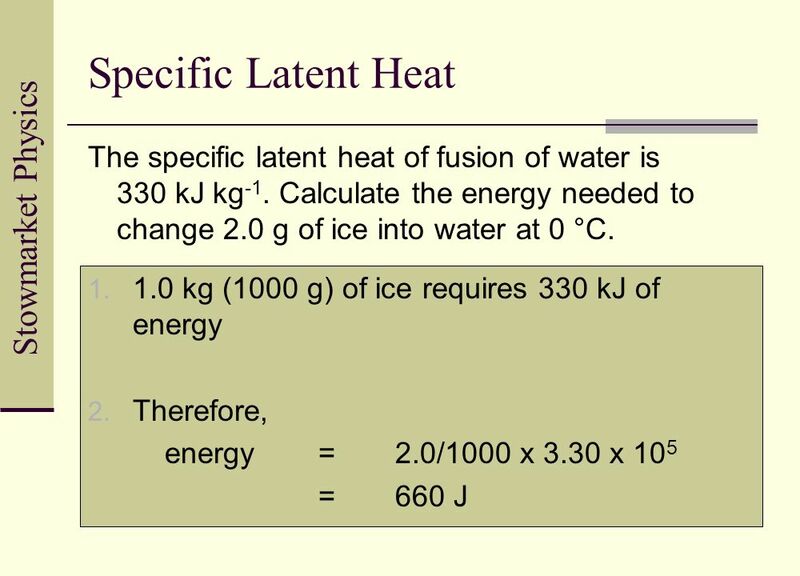 for water C= 4.18kJ. 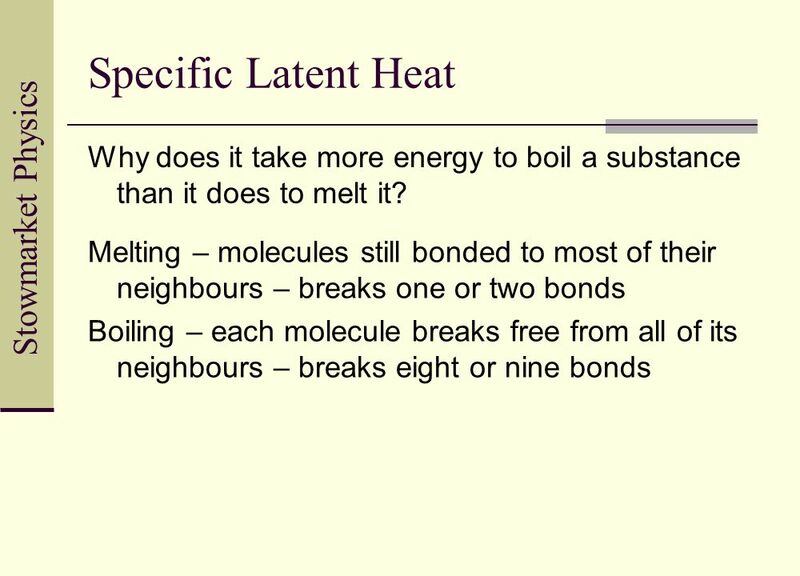 What happens to thermal (heat) energy? 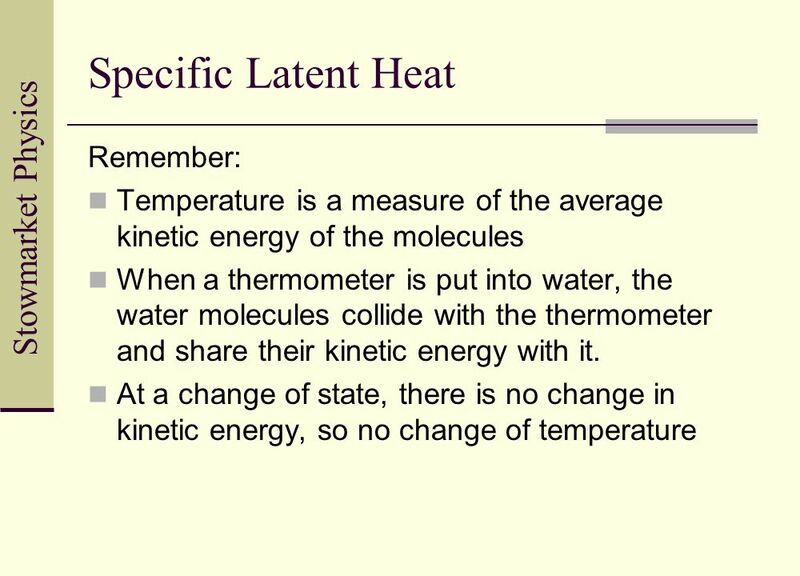 When objects of different temperature meet: Warmer object cools Cooler object warms Thermal energy is transferred. 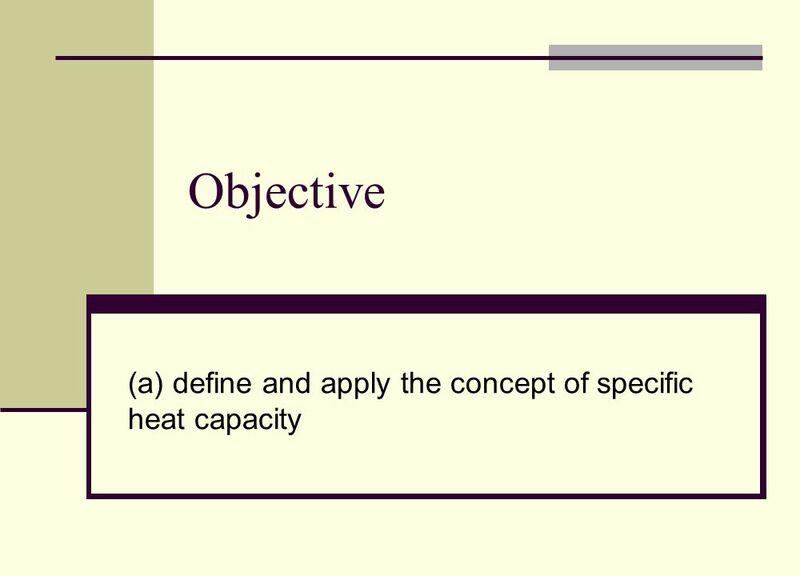 TP Be able to Define thermal capacity. 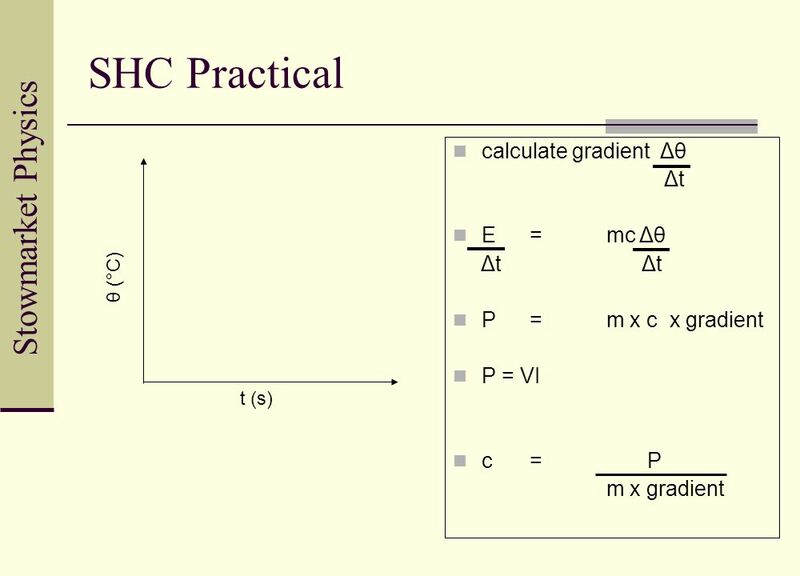 Explain the significance of high and low specific capacities. 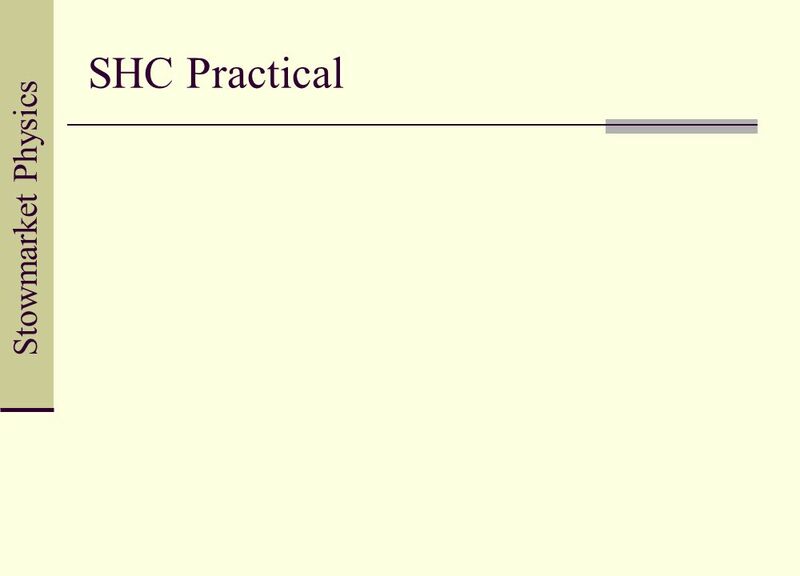 Last lesson?. 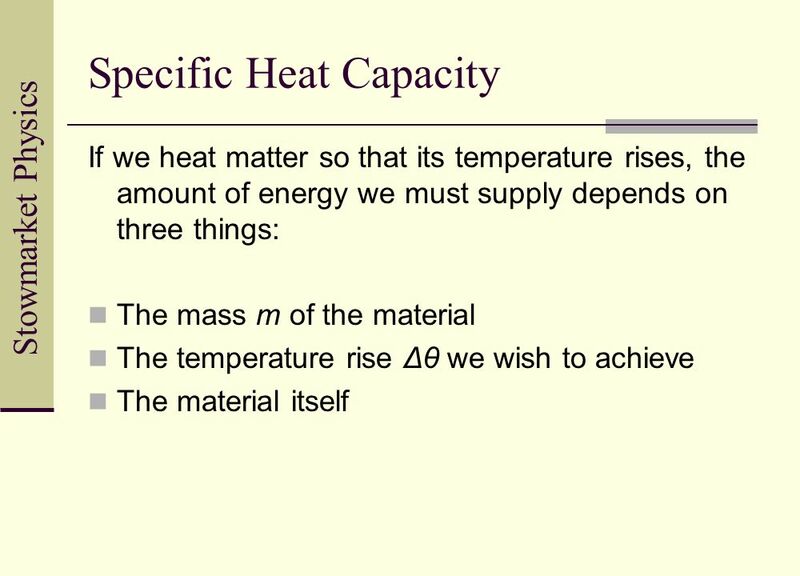 Thermal capacity Thermal capacity is the amount of energy needed to raise the temperature of a substance by 1K. 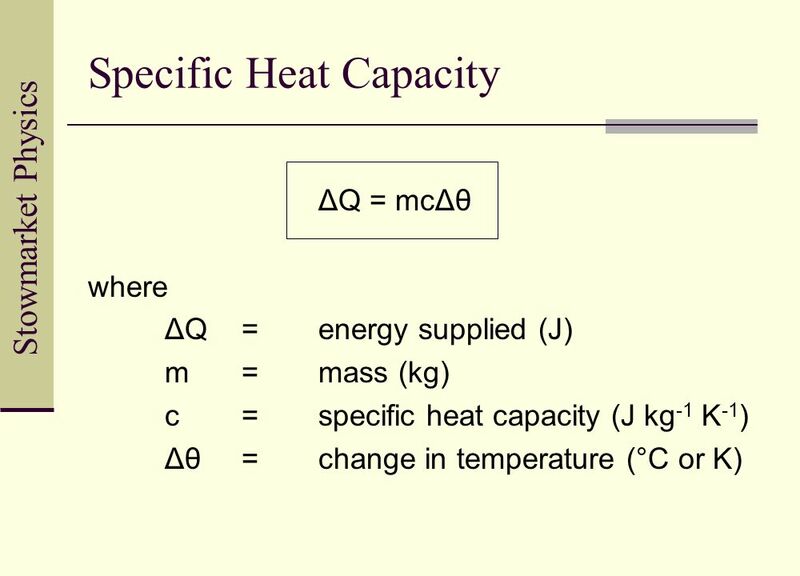 Specific Heat Capacity Objectives (a) define and apply the concept of specific heat capacity; (b) select and apply the equation E = mcΔθ; (c) describe. 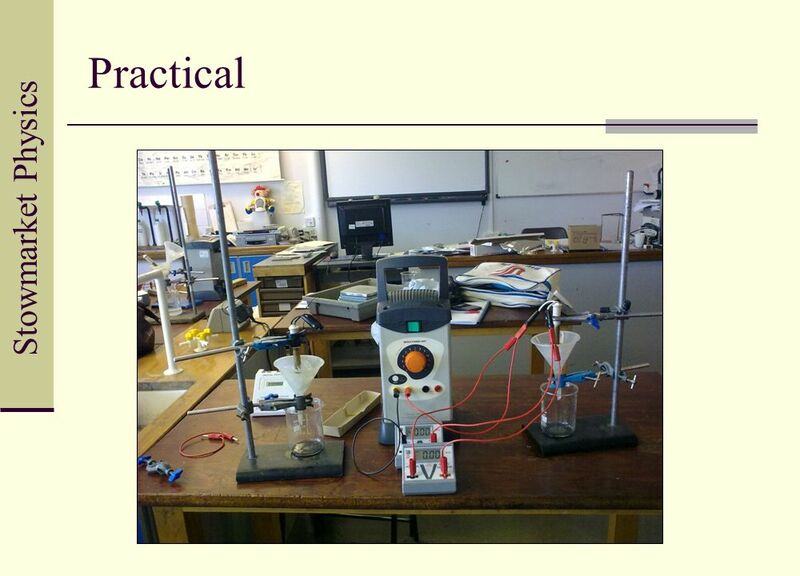 Do Now Write down three thing you need to do to work safely in a science laboratory.